A PLACE TO LEARN MORE ABOUT WHO WE ARE! Welcome to our Friday Feature! This week we feature Maddie who is a veteran 2018 player from Yarmouth, ME! Annie is an impact player who is committed, driven and a talented member of our club! 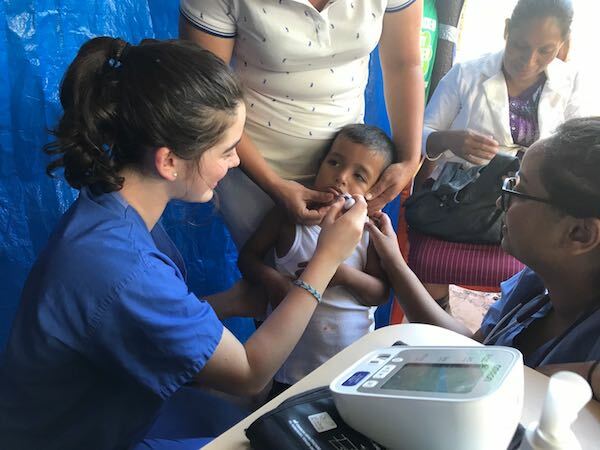 She recently took a trip to Nicaragua with Bridges to Community to help the communities with healthcare. We love her dedication and passion on and off the field and love coaching her! Read on to learn more about Annie. What do you love about Maineiax? I love the competitive atmosphere. The competition is high level as well. 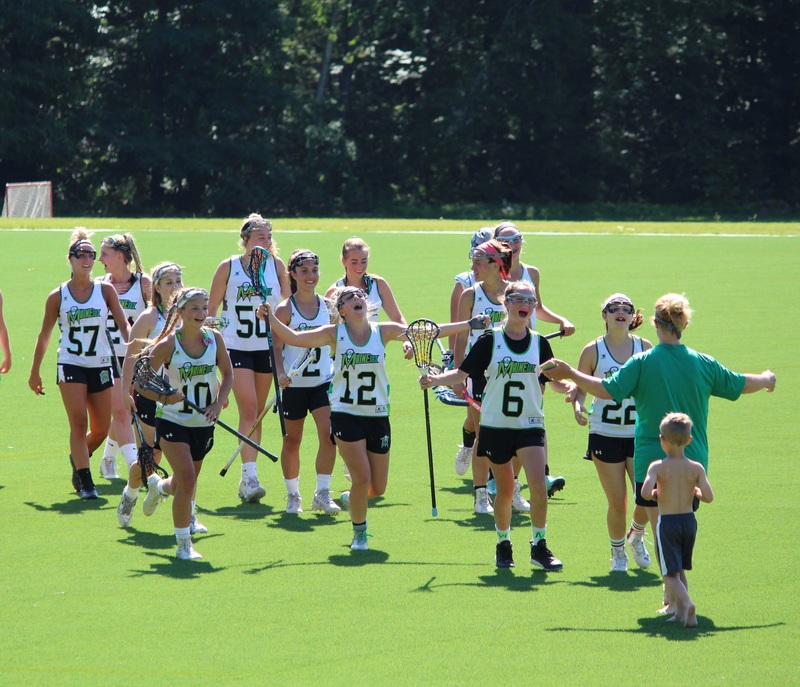 The Maineiax coaches are not only fun and friendly, but completely dedicated and passionate about the sport of lacrosse. Additionally, I have also made a lot of amazing friends that have all be extremely supportive. We all play on different teams outside of Maineiax and it is fun to see them around the state during the regular season. What do you love about lacrosse? Lacrosse is a game of skill, grit, speed, and finesse. The game is intense and requires an immense amount of focus, strength, and endurance. I love to be a part of a team as we work together to bring the best out in each other. There is nothing like competing as hard as I can with the other girls on my team. It is what I truly enjoy most. What is your favorite lacrosse memory? I have had so many amazing memories with Maineiax; from summer camps, to playing in pouring rain, to the freezing chill, I have enjoyed it all. My favorite memory with the Maineiax took place last year at the Extreme Lax Tournament in Groton, MA. Our team competed all day in the heat and sun. We won several games but lost badly when we played Mass Elite. They seemed to be the unbeatable team as they won all their games that day leading up to the playoffs. We ended up meeting them in the championship game. Knowing that it was going to be a tough game, we focused, worked hard and really played as a team. 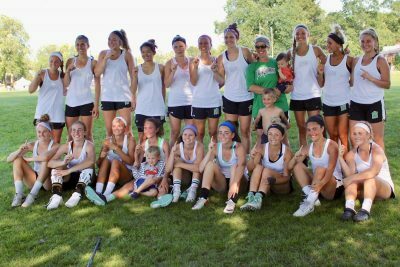 We ended up beating Mass Elite for the Extreme Lax Championship. 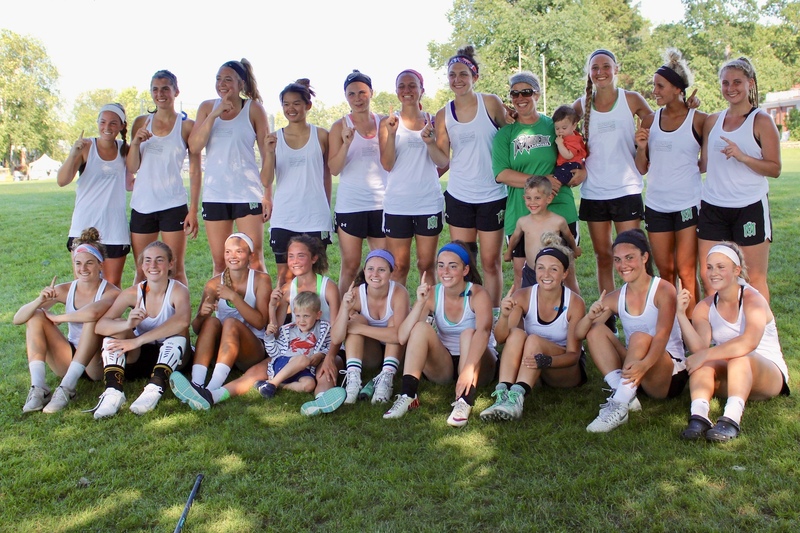 We were the first Maineiax team to win the Extreme Lax Tournament. It was so much fun to defy the expectations. How would one of your teammates describe you? I believe my teammates would describe me as very loud and passionate. I am always yelling on the field, trying to pump people up, and compete until the last whistle. How do you get pumped up for a lacrosse game? Before every game, I have a Hershey’s chocolate bar. I roll with my foam roller, visualize key moments in the upcoming game and jam to music. I dance and loosen up before games to get ready and focused for the game. How do you like to spend your free time? I spend my very little free time singing, at the gym, and hanging out with friends often at my school’s sporting events. What is something people might not know about you? I work as an entertainer and play the part of Disney princesses for children’s birthday parties. What are 2 or 3 things you’ve accomplished off the field that you’re most proud of? In 2016, I competed for Miss Maine’s Outstanding Teen and won. I also received two national awards for top vocalist at the Miss America’s Outstanding Teen Competition. I have also created a charitable platform, No Teammate Left Behind. It is all about making sure children can play sports no matter their situation. I have been blessed with opportunities that many of other people have not had and I would love to give back to the sport’s world that has given me so much. Who do you look up to as a mentor/role model? My high school coach, Mrs. Gastonguay, is my mentor and role model. She has pushed me to be the best player I can be. Mrs. Gastonguay has always told me that my height doesn’t matter. Her words of affirmation have inspired me to drive to be a strong athlete despite the assumptions of others regarding my size. Without her coaching and support, I would not be the lacrosse player I am today. What do you hope to accomplish in your lacrosse career? I’m excited to join the Franklin Pierce women’s lacrosse team this coming fall. I truly want to make an impact and compete with my new teammates. I hope to have a successful collegiate career. I hope to help my team play for a championship before I graduate. When I graduate, I hope to come back to Maine and coach the St. Dom’s High School Team. This week we feature Annie who is an awesome 2021 from Yarmouth, ME! Annie is an impact player who is committed, driven and a talented member of our club! 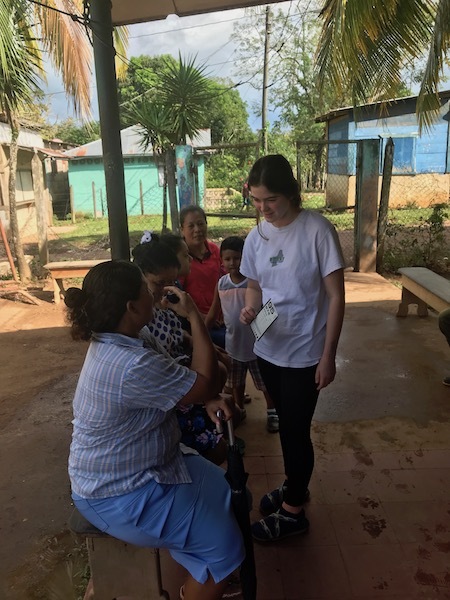 She recently took a trip to Nicaragua with Bridges to Community to help the communities with healthcare. We love her dedication and passion on and off the field and love coaching her! Read on to learn more about Annie. What do you love about Maineiax? 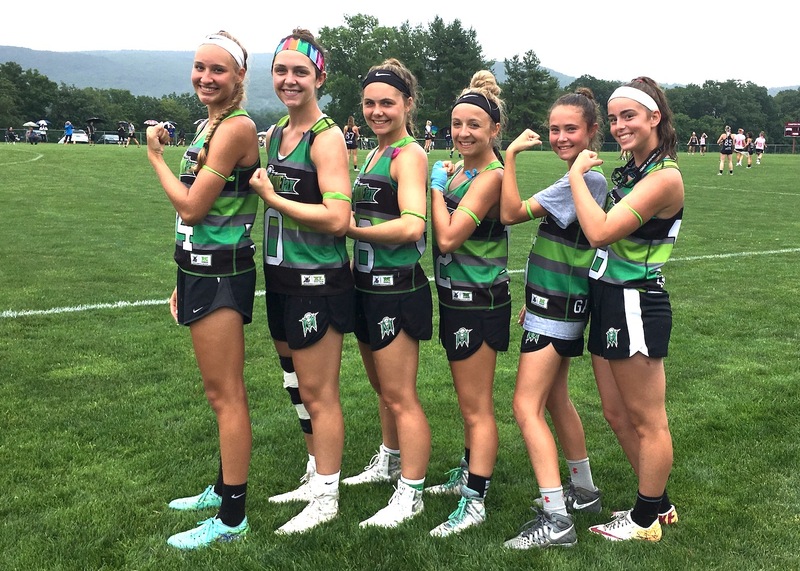 I love Maineiax because it gives me the opportunity to push myself, grow as a player and a teammate while also creating connections with girls from other towns who I may have never had the opportunity to meet otherwise. What do you love about lacrosse? While I’m playing I am able to learn how to work with my teammates which is a skill that translates into many other aspects of my life. It also gives me the chance to work as hard as I can and try new things. What is your favorite lacrosse memory? Coming back the next day to help coach my team, and cheer them on through our final games in a summer tournament after breaking my clavicle in a game the previous day. How would one of your teammates describe you? I think my teammates might consider me to be a very passionate and a competitive player who cheers hard for them and is very positive. How do you get pumped up for a lacrosse game? Mostly with loud music and the positive energy from the rest of my teammates. How do you like to spend your free time? Hanging out with my friends, hiking in New Hampshire, spending summers on Squam Lake, taking my dogs for walks and getting various snacks with my sister, Ellie. What is your favorite place in Maine? Harpswell!! It’s such a peaceful and beautiful place to be, as well as a special place my family used to stay at with my grandparents during the summer when I was younger! Tell us about your recent trip. 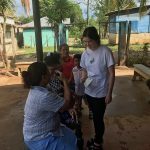 Last week, I went down to Nicaragua with my dad for the second year through a program called Bridges to Community. 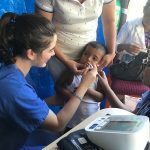 There, I was working in a medical clinic for remote communities who don’t receive proper healthcare. After working, the afternoon’s brought great times to play with the local kids on the village’s field. 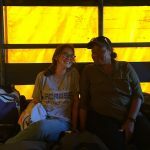 It was so crazy to be able to communicate and play with them despite the language barrier (and the various wild horses and pigs on the field with us.) 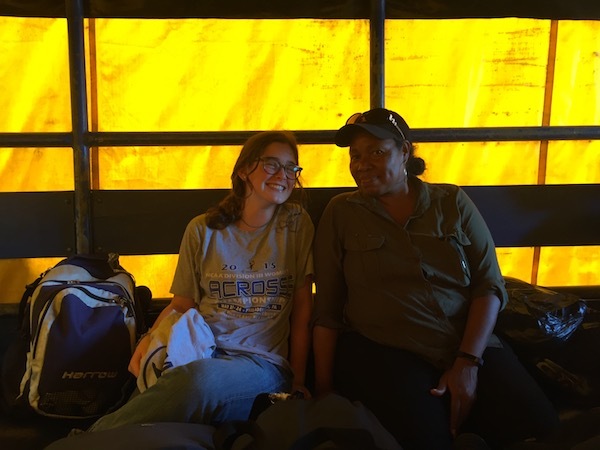 It was such an amazing way to immerse myself into a place that has no refrigerators or running water, and a strict diet of rice and beans. Who do you look up to as a mentor/role model? 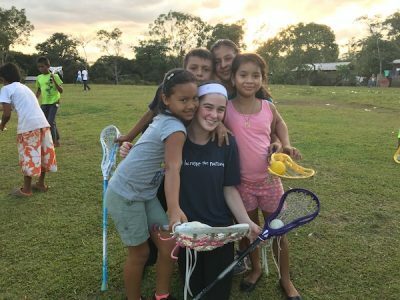 I idolized Grace O’Donnell when I was in middle school and she was playing lacrosse in high school because of how hard she works on the field and how well she sees the field. 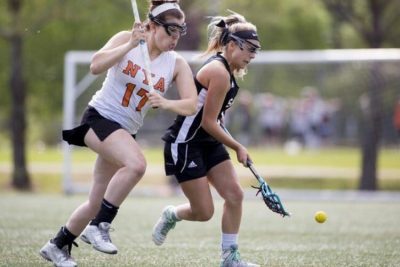 I connected with her at the Downeast Lacrosse Camp and we have been pals ever since. I have even made trips down to watch her play for Trinity. What do you hope to accomplish in your lacrosse career? 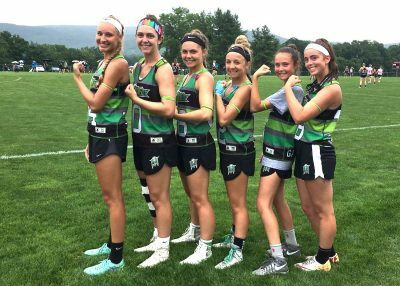 I really would love to play in college and meet some cool gals that love lacrosse from all around the country and continue to work hard and push myself.